Right now, Behringer are shipping the synth that represented their first major foray into the synth business. That would be analog polysynth DeepMind 12 – a 12-voice keyboard loaded up with extras, including built-in Wi-Fi and a bunch of effects from TC ELECTRONIC and KLARK TEKNIK. And it represents a significant acquisition of engineering talent, as Behringer has brought the MIDAS team into the fold. The DeepMind is unquestionably inexpensive for a polysynth and, from people I know who’ve had it for longer tests, at least reasonably good. If you don’t need 12 voices, you can get a number of great instruments, some of them for less than the DeepMind. And if you’re willing to spend a bit more, Novation, Moog, Dave Smith and others have offerings, as well. But it is fair to say the DeepMind 12 has found a sizable market for itself, at least for now. And so it is that Behringer have managed to upstage… themselves. The DeepMind was itself accompanied by a whirlwind of teasers and spec-by-spec leaks from Behringer across social media and forums, and … then all hell broke loose. There was an unexplained “spy” shot of someone holding an SH-101 (with different lettering) on a day Roland planned a press briefing. There were threads asking users what remakes they wanted to see. There were random photos of gear and prototypes that might or might not represent something they would make. 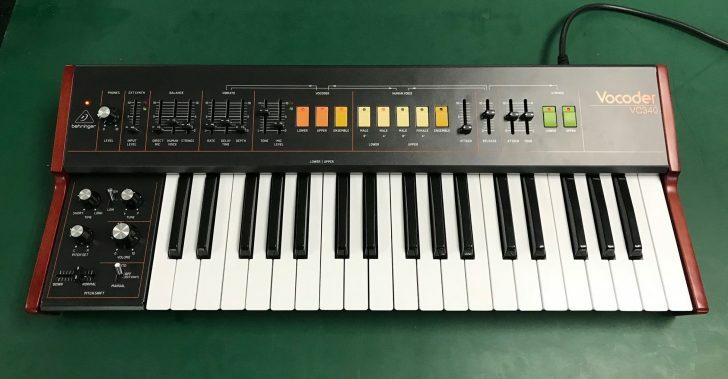 And then there was the weirdest moment of them all – various clones of drum machines and synthesizers suddenly appeared on the official Behringer website, only to be immediately followed by the suggestion that maybe that was all just a dream. In the midst of this, there was one synth we know to be real, and we know to be in production – a rack-mount model D based on the original Minimoog circuit design (minus the keyboard, of course). And Behringer got as far as bringing a prototype around for people to test and hear – with reasonably good results. But while Behringer was busy teasing the Minimoog recreation – and many other synths – Roland went ahead and actually shipped their own compact Minimoog-style instrument, partnering with independent US maker Studio Electronics. Unlike the other Boutique Series from Roland, the SE-02 is analog – should you care about such things. The SE-02 has some extras, too, like a step sequencer, cross modulation, and filter feedback loop, and sound characteristics that come from SE’s Boomstar line. So what about the Behringer model D? Well, you should be able to buy it soon. I’ve seen preorders at Germany’s Music Store, though haven’t talked to anyone who’s got one in-hand. Please allow me to clarify that the first batch of Model D’s had arrived at our German retailer Music Store right before yearend, which you can easily verify with them. Wait… back up. Couple things here. First, this suggests that in the midst of teasing literally dozens of remakes, Behringer are stumbling on shipping just this first one. The Model D was shown publicly at Superbooth in Berlin in the first half of last year, with preorders taken early in the summer and shipping promised soon. This represents a significant delay – acceptable maybe for a small builder, but less so a massive instrument manufacturer. Second, the Minimoog authenticity here may have gone a bit far. Recall that there are reasons other than cost that synthesizer engineers largely moved away from pure analog oscillators, opting for digital oscillators or digital-controlled analog oscilllators. Thirty minutes to warm up? An hour to calibrate? Some manual tuning is evidently involved in this instrument, just like on the original. And that’s consistent with the specs, which mention an A-440 tuning reference. Note that one feature of the Roland/Studio Electronics SE-02 is temperature-stabilized oscillators with automatic tuning. That plus the extra features on the Studio Electronics piece (and a better stock outlook) make the Roland look like a better compact Minimoog alternative than the Behringer. Reading through Uli’s convoluted messages, it generally seems Behringer for all this hype are now lowering expectations for their analog clones. And that should mean reevaluating their impact on the industry. Low price is one thing, but availability matters, too. 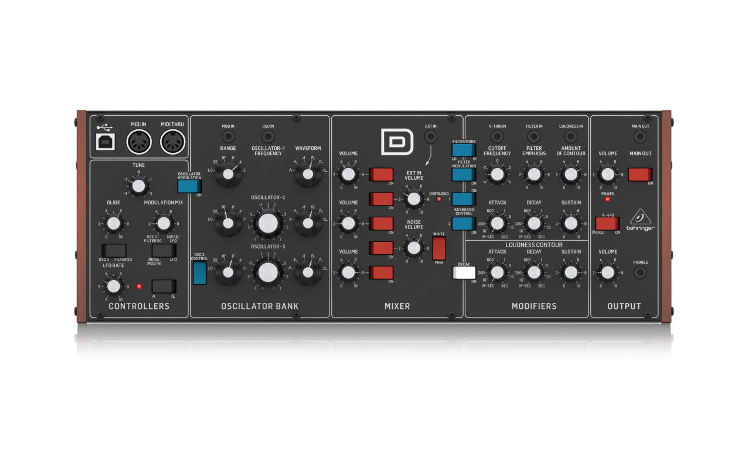 Of course, the model D delays are conveniently here buried by Behringer teasing still more instruments – based on the Oberheim OB-X and the Roland VP-330 vocoder / string machine. Everything else is just vaporware until proven otherwise. And here’s the weird thing: Behringer have managed to steal the show from themselves and the fact that the full DeepMind range is shipping.